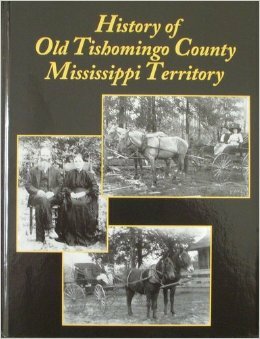 While William was busy fighting the war in the east, his hometown of Burnsville, Mississippi was near ground zero for the Siege, Battle and occupation of Corinth by the Union Troops which took place between May and October 1862. As I mentioned in my post I Asked About…John C. nothing more was ever learned about William’s wife, Tarsy and their daughter Martha. With battles raging all around and the lack of necessary provisions, it would be most likely that Tarsy left the area with Martha to a part of the country which was a safer place to raise her and John C.
Our handsome General McArthur led us out on the Iuka road, through the Rebel fortifications and down in the great swamp that sweeps around the town on the north and east…By this time, it rained in torrents, the infantry threw on their rubber ponchos and pressed bravely on through the mud, and we, having none donned our overcoats and sat in silence on the ammunition chests, while the splattered horses plunged through the holes and over the rough corduroys of the narrow road. After getting through the swamp we ascended to the level of the cotton and corn fields of last year, now a wilderness of weeds, with no and then a cotton press or gin standing solitary and dilapidated by the side of the road. The country we had passed through was alternate swamp and high pine land with, here and there a clump of chestnut trees loaded with their green burrs. Scarcely a house had we seen since leaving Corinth and those we did see were of the rudest construction, built of rough pine logs with the chimney running up the end outside…The next morning we proceeded to Iuka without opposition and the road being strewn with clothing thrown away by the Rebels. We stopped at the town about an hour and then started back to Burnsville 9 miles this side…the soldiers…fired every rebel house on the road that was unoccupied, which was the case with nearly all. They were mostly built of pitch pine and burned like so many matches….The immense flames crackled and roared and threw their light for into the deep woods that surrounded them, the buildings with a crack sending up millions of sparks and the heat was so intense that we had to drive by on the gallop on account of the caissons. Return to Shoults Genealogy Index.